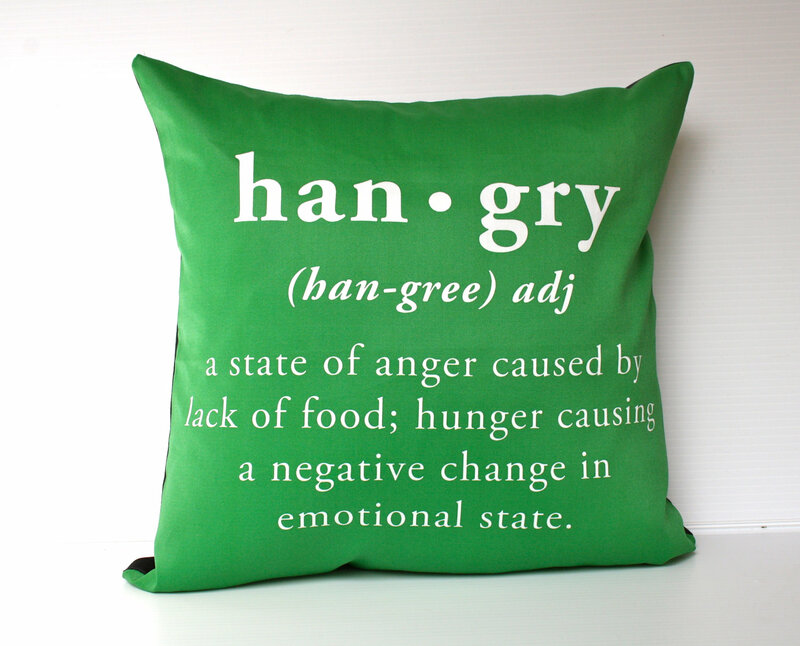 Definition of hanger: when you are so hungry that your lack of food causes you to become angry, frustrated or both – also an amalgam of hungry and angry used to describe the feeling you get when you are out at a restaurant and have been waiting over an hour to get the meal that you have ordered (Urban Dictionary). I often battle the sob-inducing stomach pangs of hanger: when I have nine hours of back to back classes, when I don’t have enough time to make myself a decent dinner and thus go to bed on a banana and Cookie Crisps, after long flights filled with gag-inducing airplane food and when I wake up in general. It’s awful. I don’t mean to act as though I don’t have enough food. I’m by no means starving or facing an economic inability to go on shopping sprees at Trader Joes. But I get hungry easily – I always thought I had a slow metabolism and thus putting on weight is as easy as unwrapping a container of Milanos. But I’m beginning to wonder whether my metabolism is in fact fast, and if it is, perhaps that is the reason I am hungry all the time (or maybe I’m just fat at heart). Anywho, people don’t like being around those who are hangry any more than they like being around those who are bitchy or rude or pretentious (and you certainly get many such people in the world). Unfortunately, when the hanger sets in I become these things – well, hopefully not pretentious. I’m irritable, moody, quick to snap, sarcastic, and have a terrible tendency to scrunch my nose and squint my eyes at anyone who crosses my path. I am perfectly aware of the fact that I am probably the least fun person to be around when suffering from hanger. Constantly sneak savory snacks (it’s easy to slip an Oreo or Nutter Butter snack pack or a mini Pringles container into a purse or pocket) so stock up and constantly carry something you can take nibbles of through the day. Put one of your favorite peppy songs on repeat for a good 20 minutes. This morning I listened to a solid half hour of Deer Tick’s “Ashamed,” and felt a whole lot better. Keep some loose M&Ms or some variation in your pocket or bag as well. I find a small intake of chocolate when I’m pissed off really takes the edge off the pissy side of my personality.